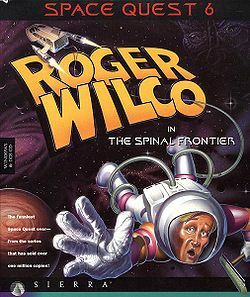 Space Quest 6: The Spinal Frontier was the sixth game in the Space Quest series. Roger is demoted from his rank of Captain, kicked out of Starcon Academy, and he resumes his role as a janitor. However, it's not long before he stumbles into another adventure.